Five years ago in 2012, award-winning Peruvian chef, DJ, restaurateur and art collector Martin Morales cofounded Tiger’s Milk Records with former Soundway Records label manager and PR guru Duncan Ballantyne. The nascent Tiger’s Milk Records’ raison d’être was to release Peruvian music. This was something that Martin Morales had always been passionate about. Martin Morales was born in Peru, and lived in the coastal city of Lima until he was a teenager. After leaving Peru, Martin Morales spent some time traveling before he eventually settled in London, where he started a new life. Still, Martin Morales regularly journeys between London and Peru in search of new recipes and inspiration for future projects. The other thing that Martin Morales searches during these journeys to his homeland is the Peruvian music he’s so passionate about. A favourite destination for Martin Morales is the Andes. This is an area that dubstep producer and DJ Mala is familiar with, and featured on his 2016 album Mirrors. It was released by Giles Peterson’s Brownswood Recordings. This was a coincidence as it was Giles Peterson who had introduced Martin Morales to DJ Mala two years previously. The pair struck up a friendship, and DJ Mala became Martin Morales’ musical guide when the pair journeyed to Peru in search of new and exciting music. During this journey, DJ Mala told Martin Morales about Peru’s illustrious musical history, and introduced him to all manner of hidden musical treasure. Since then, Martin Morales has made many more journeys to the Andes where he’s spend some of his time searching for the music he’s some passionate about. This music Martin Morales wants to introduce to a new and wider audience. His vehicle for doing this, is the label he cofounded with Tiger’s Milk Records Duncan Ballantyne. It’s released a number of critically acclaimed albums and compilations, including Peru Maravilloso: Vintage Latin Tropical and Cumbia, Peru Bravo: Funk, Soul and Psych From Peru’s Radical Decade, Peru Boom (Bass, Bleeps and Bumps from Peru’s Electronic Underground) and Kanaku Y El Tigre’s 2015 debut album Quema Quema Quema. However, Tiger’s Milk Records latest releases Andina: Huayno, Carnaval and Cumbia-The Sound Of The Peruvian Andes 1968-1978 allows Martin Morales to combine his passion for Peruvian music and food. Tiger’s Milk Records latest compilation is Andina: Huayno, Carnaval and Cumbia-The Sound Of The Peruvian Andes 1968-1978, which was compiled by Martin Morales, Duncan Ballantyne and Peruvian crate digger Andres Tapia del Rio. Andina: Huayno, Carnaval and Cumbia-The Sound Of The Peruvian Andes 1968-1978 will be co-released by Tiger’s Milk Records and Strut on the ‘20th’ of October 2017. This is perfect timing. 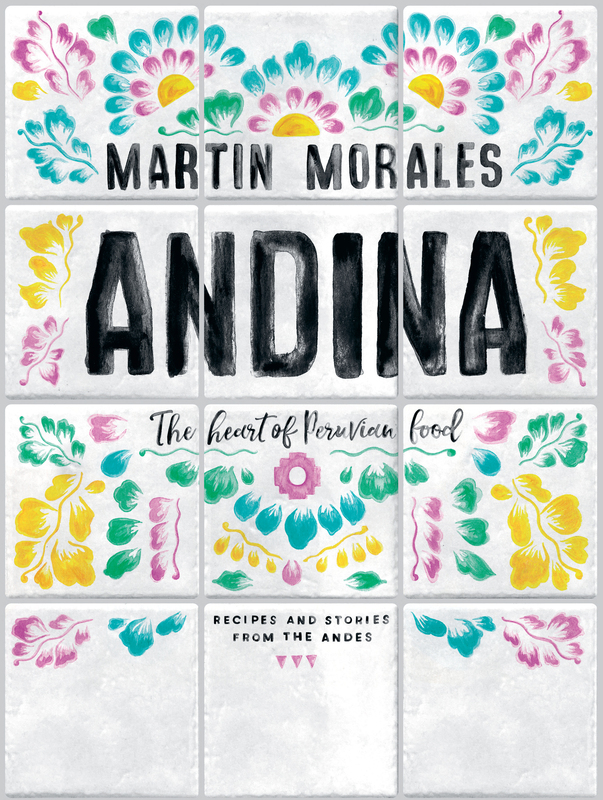 Earlier this month, on the ‘5th’ of October 2017, Martin Morales has just released a new cookbook Andina: The Heart of Peruvian Food: Recipes and Stories From The Andes. The music on Andina: Huayno, Carnaval and Cumbia-The Sound of the Peruvian Andes 1968-1978 is the perfect musical accompaniment when trying one of Martin Morales’ recipes. Food just like music, is one the award-winning chef’s passions. Martin Morales has strong connection to the Andes, and remembers his visits with affection. “Growing up in the coastal city of Lima, it was my grandmother who kept our family’s connection to the mountains alive. Our visits to her home high up in the Andes in the province of La Libertad and the fascinating eighteen hour trips we made to reach her passing through villages and towns, sounds and flavours, imparted in me a strong sense of the Andes’ traditions, creativity and rich artistic textures.” There’s also the various types of music that provided a soundtrack to life in the Andes, including a variety of hybrids which seemed to be in a state of constant flux. That was the case between 1968 and 1978, which Tiger’s Milk Records’ latest compilation covers. Andina: Huayno, Carnaval and Cumbia-The Sound Of The Peruvian Andes 1968-1978 features seventeen tracks that made their debut on Peruvian labels like Iempsa, Sono Radio and El Virrey. They’re part of what’s a tantalising taste of the music that provided the soundtrack to life in the Andes between 1968 and 1978. This the compilers are keen to point out, isn’t a definitive overview of Andean music. That would be impossible. However, it’s the perfect introduction to Andean music…and more. There’s also contributions from several artists who were based in the coastal city of Lima. This is fitting, as it was where one of the compilers Martin Morales grew up, and spent the formative years of his life. Maybe some of the songs on Andina: Huayno, Carnaval and Cumbia-The Sound Of The Peruvian Andes 1968-1978, which is eclectic compilation will be a reminder of the music that provided the soundtrack to his youth? The seventeen songs on Andina: Huayno, Carnaval and Cumbia-The Sound Of The Peruvian Andes 1968-1978 showcase the various different genres and musical hybrids that were around during this ten-year period. That is the case from throughout the compilation. Andina: Huayno, Carnaval and Cumbia-The Sound Of The Peruvian Andes 1968-1978 opens with a track from Los Demonios Del Mantaro who were from the Mantaro Valley in Junin. Their debut album La Chichera Y Otros Exitos featured La Chichera. It finds Los Demonios Del Mantaro seamlessly fuse Peruvian cumbia and huayno sounds. It’s a similar case with Los Compadres Del Ande’s Todos Vuelven, Los Bárbaros del Centro’s La Celosa and Los Walker’s De Huánuco’s Todos Vuelven. It was originally recorded by César Miró in 1943, but Los Walker’s De Huánuco reinvent this musica criolla song, and take in a new direction as they combine cumbia and huayno. In doing so, they create another track that sets the bar high for the rest of the compilation. Many songs on Andina: Huayno, Carnaval and Cumbia-The Sound Of The Peruvian Andes 1968-1978 feature Peruvian cumbia where groups add a tropical, Colombian style with Andean huayno rhythms and rocky electric guitars. This includes Los Bilbao’s Zelenita del Año 2000 where a shimmering guitar sets the scene for what’s without doubt one of the highlights of the compilation. There’s a hesitancy to the electric guitar on Descarga Huanuqueña’s Los Jewelees as it teases the listener. Soon, the guitar wah wahs as percussion, bass and later drums provide the perfect accompaniment to this piece of musical treasure. There’s plenty more hidden gems and musical treason on Andina: Huayno, Carnaval and Cumbia-The Sound Of The Peruvian Andes 1968-1978. Among the hidden gems is Peruanita’s Recuerda Corazón where percussion accompanies an accordion and impassioned vocal. It gives way to Los Bárbaros Del Centro’s Loca Loquita where a braying, blazing horn plays a leading role in this captivating fusion of disparate styles. This is followed by Los Compadres Del Ande’s cumbia single El Lorcho, where percussion and violins create an filmic backdrop on this irresistible reminder of from the Ande’s musical past. Manolo Avalos’ Rio de Paria is also a charming reminder on an earlier musical age, and a welcome addition to the compilation. The same can be said of Lucho Neves Y Su Orquesta’s Caymeñita, where the bandleader’s pounding piano combines with percussion and stabs of brassy horns. They create a soulful call to dance that made its debut on the Lucho Neves Y Su Orquesta’s album Lima De Noche, which was released the Sono Radio label, which was based in Lima. Just like in the Andes, music was constantly evolving between 1968 and 1978. Many of the bands that feature on Andina: Huayno, Carnaval and Cumbia-The Sound Of The Peruvian Andes 1968-1978 were playing their part in reinventing traditional Peruvian music. An example is Los Sabios del Ritmo’s Cholita, which was originally recorded in the criollo style. When Los Sabios del Ritmo covered the song, they decided modernise it by adding an Andean rhythm. In doing so, this totally transformed this traditional song. To do this, Los Sabios del Ritmo saw the song with fresh eyes, and the Afro-Peruvian original took on a Quechua-styled, Afro-Colombian sound. It’s one of many examples of how new generation of Peruvian artists and bands were combining traditional Latin American and African influences. Other songs take Peruvian music in very different directions. This includes Alicia Maguiña Con Mario Cavagnaro Y Su Sonora Sensación’s Perla Andina. It’s a cumbia which features a magnificent big band arrangement on what’s essentially an homage to the Andes. Another genre of music that was popular in Peru between 1968 and 1978 was folk music. A reminder of this is Huiro Y Su Conjunto’s Cumbia en los Andes. However, there’s also another type of folk music that popular in Peru during this period. It can be recognised by atmospheric sounds that come courtesy of wind instruments and plucked harps, as artists marry huayno and carnaval. That is what Conjunto Kori Cinta de Huancavelica does on Toyascha. There’s a sadness is her voice as she delivers the lyrics in Quechua, while a harp accompaniment. This beautiful, ruminative sounding song brings Andina: Huayno, Carnaval and Cumbia-The Sound Of The Peruvian Andes 1968-1978 and ensures it ends on a high. Andina: Huayno, Carnaval and Cumbia-The Sound Of The Peruvian Andes 1968-1978 is a lovingly curated compilation that was compiled by a triumvirate of Peruvian musical aficionados, Martin Morales, Duncan Ballantyne and Peruvian crate digger Andres Tapia del Rio. They carefully selected the seventeen eclectic tracks that were released between 1968 and 1978, when music in Peru was constantly evolving. That was the case in the Andes, where the majority of the songs are from. Others are from Lima, where Martin Morales was born and spent his formative years. Now, though, he’s based in London which is also home to Tiger’s Milk Records. It was founded five years ago, and on the ‘20th’ October 2017, Tiger’s Milk Records and Strut will co-release Andina: Huayno, Carnaval and Cumbia-The Sound Of The Peruvian Andes 1968-1978. It’s the first in a series of compilations of releases that Tiger’s Milk Records plan to release. Future compilations will focus on music from the Amazon and the coast of Peru. That is something to look forward to. Especially if these compilations are the quality of Andina: Huayno, Carnaval and Cumbia-The Sound Of The Peruvian Andes 1968-1978. Tiger’s Milk Records is also part of Martin Morales London-based company Ceviche, which owns four award-winning restaurants and an art gallery. Recently, Martin Morales has added another string to his bow, when he published a new cookery book Andina: The Heart of Peruvian Food: Recipes and Stories From The Andes earlier this month. This is the perfect opportunity for those outside of London to try some of the Martin Morales’ award-winning recipes. 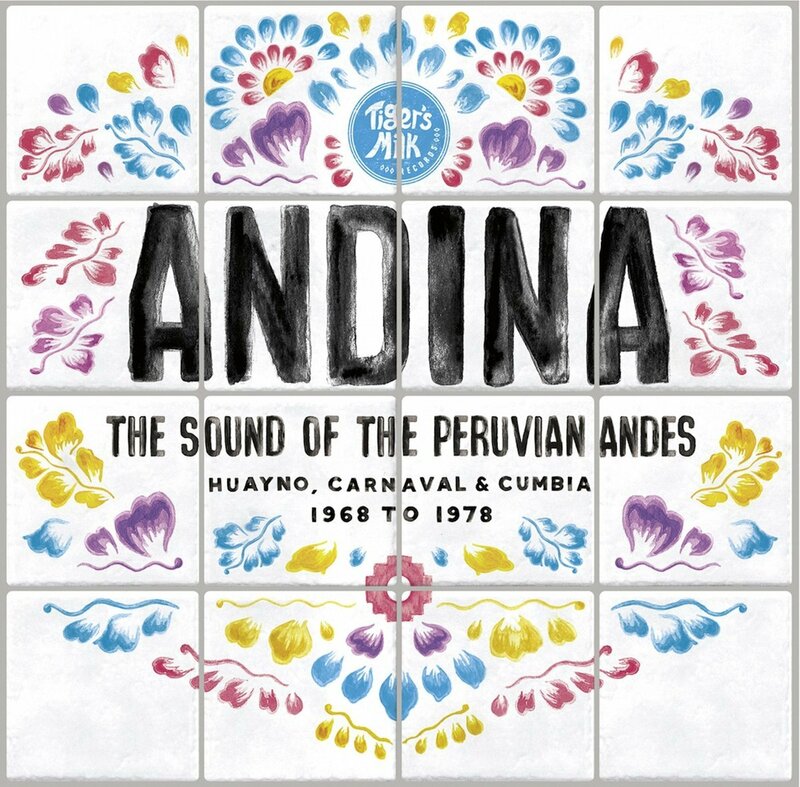 The perfect soundtrack to such culinary adventures is Andina: Huayno, Carnaval and Cumbia-The Sound Of The Peruvian Andes 1968-1978, which features a myriad of musical treasures and hidden gems. ← BOBBY BYRD-HELP FOR MY BROTHER: THE PRE-FUNK SINGLES 1963-1868. How nice to read that there are others in Europe, than I who knows Cumbia. I bought many LP: s when travelling in Peru, Ecuador and Colombia n the 70s.